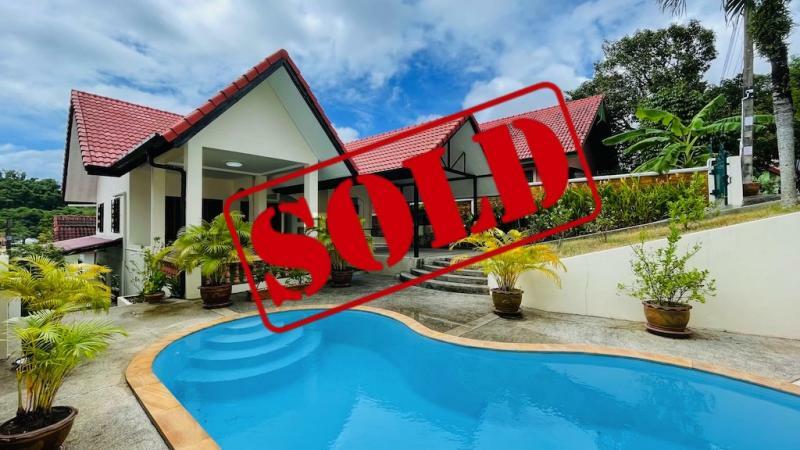 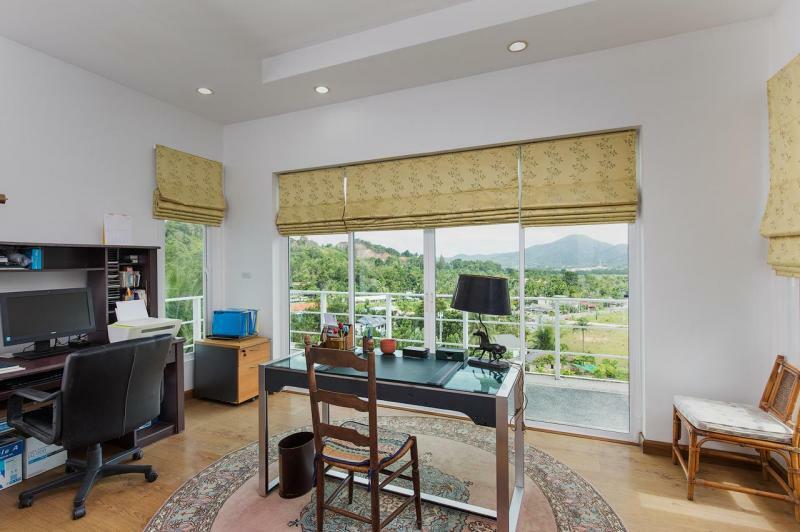 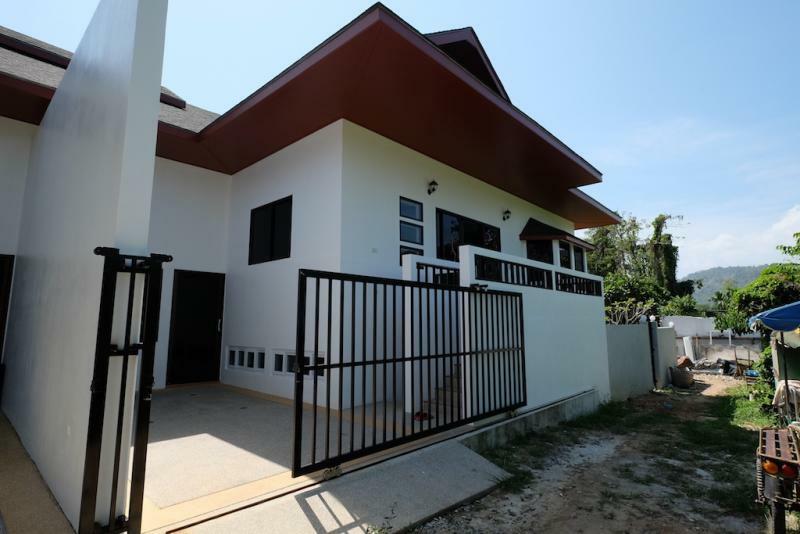 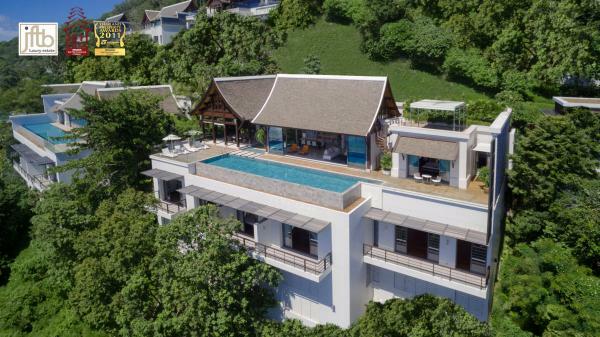 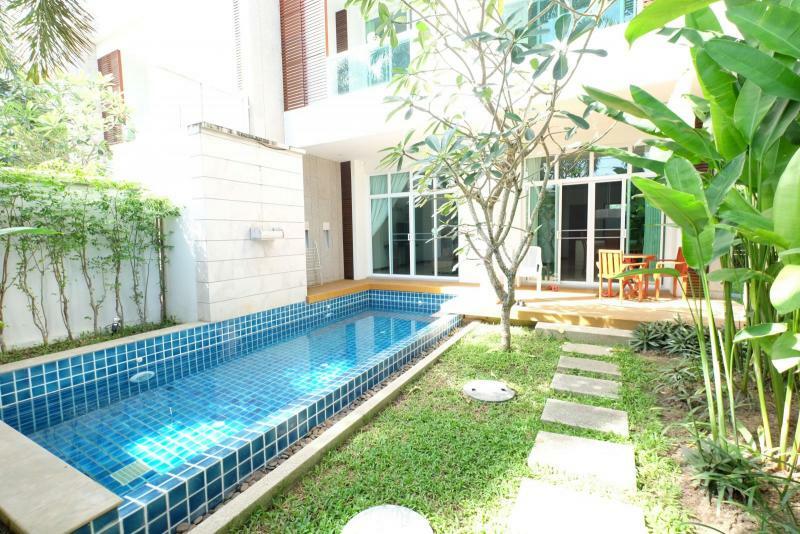 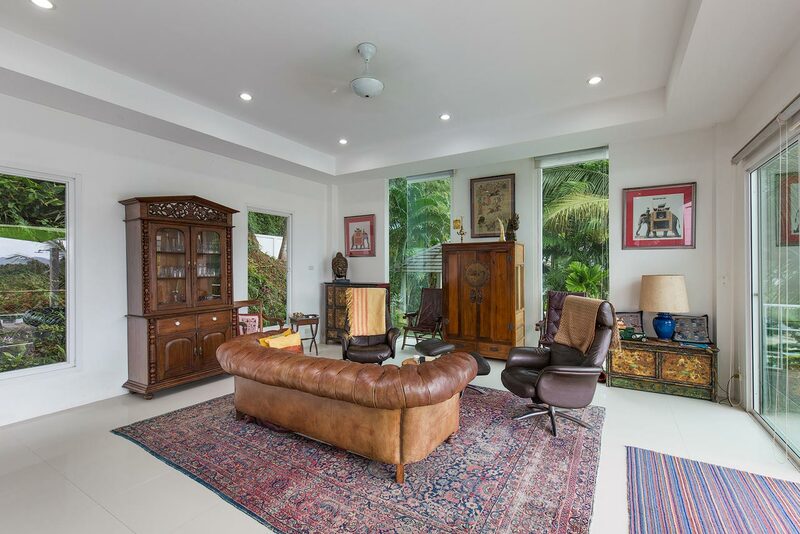 Our Phuket Real Estate Agency is delighted to offer this modern property for sale near Loch Palm Golf Course, in a very scenic part of Kathu. 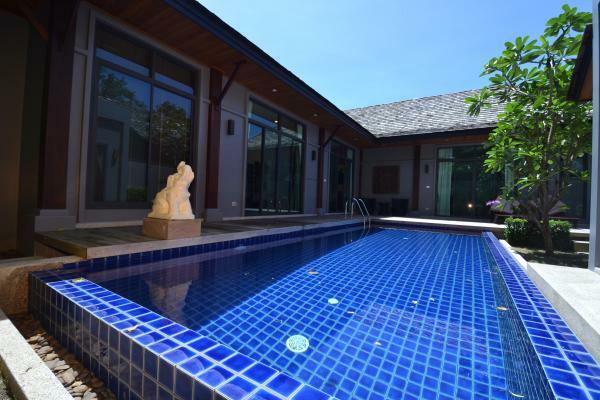 A beautiful and very spacious villa to sell with 4 Bedrooms and a huge swimming pool. 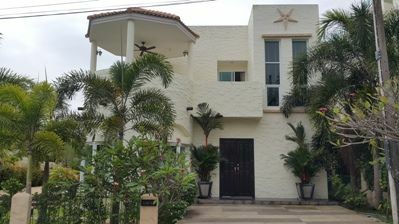 This home has been realized in 2010 with a high building quality, in a gated community where all electric and telephone cables are buried to preserve beautiful and relaxing views. 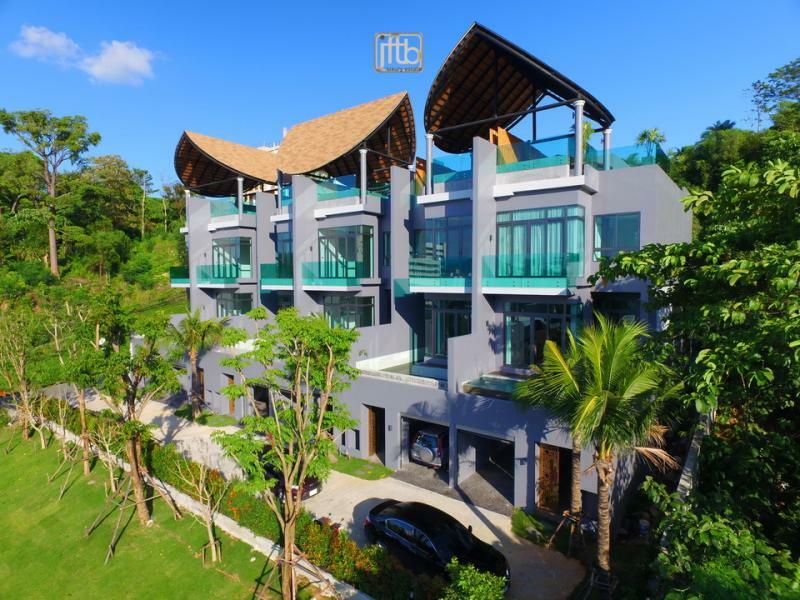 This villa provides 4 bedrooms, 4 bathrooms, 1 separate maid's room with its own bathroom, a spacious living room / dining room, a large kitchen, a laundry room, a 40 m2 infinity pool, a large parking area, several storage rooms, a relaxing tropical garden, terrace and balconies. 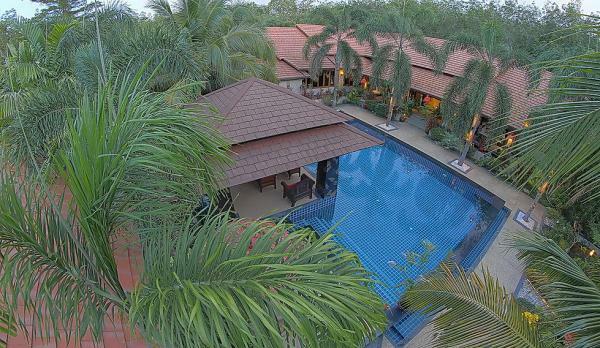 This makes Kathu a popular place and perfect place for expatriates to reside. 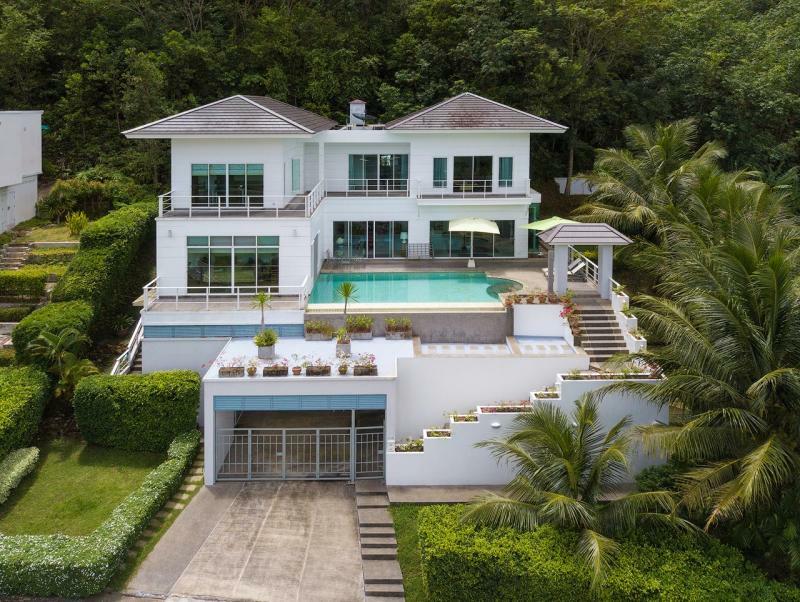 This state of the art villa provides a stunning bird's eye view of the Loch Palm Golf course.